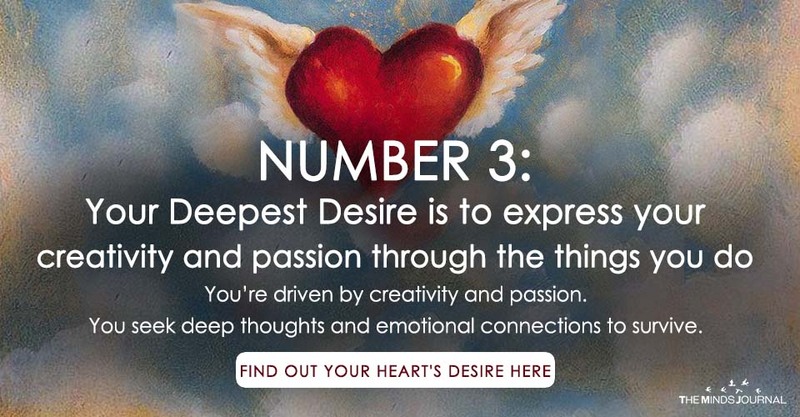 This ‘heart’s desire number’ is the dream which is most desired by our heart and all other dreams we nurture are connected to it. It reveals our underlying motivation, hinting at the intentions behind our actions. The choices we make in our lives are influenced by this ‘heart’s desire number.’ This number is the driving force behind our wishes, dreams, actions, and desires. It’s everything, it encompasses every sphere of our lives, our identities. We can calculate it using the letters of our birth name. Suppose your name is Alice Woody. Now, take all the vowels from your name. Consider the Y of Woody too because Y sounds like a vowel. A, I, E, O, O and we will be including Y. Therefore, the number = 1+ 9+ 5+ 6+6+ 7 = 34. If you get a single digit, then it’s fine. But if you get a double-digit like the one we got here, then you need to add the numbers again till you get a single digit. So, the number is 3+4 =7. You should note one thing here that exceptions to the double-digit rule are the numbers 11,22 and 33. These numbers, the Master Numbers are extremely difficult to handle, highly charged and it takes a lot to integrate them into one’s personality. The need that drives you is independence. You desire to express your individuality, think out of the box and be the unique one, full of passion with an impulse to be the number 1. Your heart desires to leave your fingerprint on this universe through deeds. You empathize with people, work with them as a team and you remain focused on creating things for greater good. You’re driven by creativity and passion. Optimistic and social, you express yourself by creativity. You seek deep thoughts and emotional connections to survive. However, you do have a tendency to get distracted, scattering your energy. Practical, disciplined and grounded, your vision in life is to create order in this world. Your logical sense keeps you grounded while exploring new possibilities at the same time. You are a carefree soul always seeking adventure. You desire a life filled with excitement. Your creativity, adaptability, and versatility make you feel suffocated in a mundane routine. Your heart desires freedom through the things you do. You always seek to help others around you which is why healing is your innate nature. Your generosity and involvement in others’ lives cause harm to you sometimes. Remember to heal yourself first and then heal others to utilize your potential to the fullest.